Frilly is 21 years old and from Palu, Indonesia – one of the places most devastated by the earthquake and tsunami which struck Indonesia in September 2018. 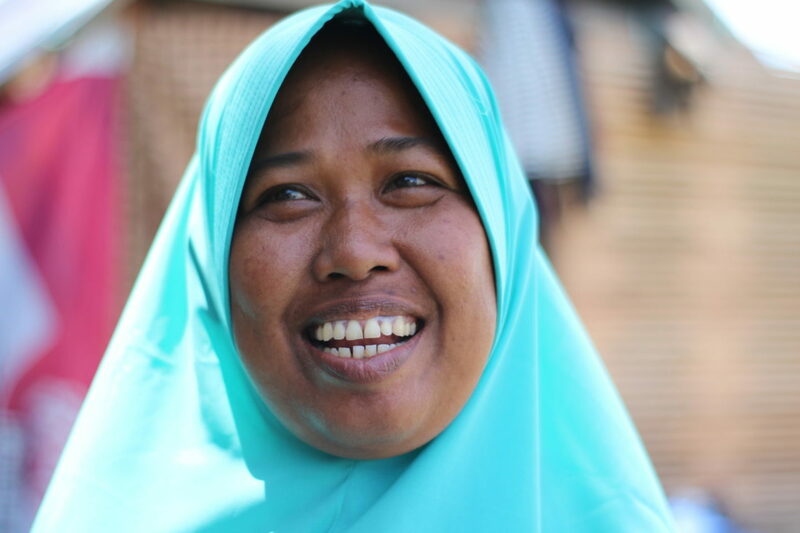 Frilly works as a translator for Medair and our local partners in Central Sulawesi. She regularly meets with the people we serve to help capture their stories. What was it like that day the earthquake struck Palu? When the earthquake happened, I was in the office of the company I was working for at the time. At first, I thought it was just a “normal” earthquake, as we regularly have small earthquakes in Palu. But then, two or three seconds in, I realized it was something different. It was much stronger. The lights suddenly went out. I was struggling to escape the building because the earthquake was so strong I could barely stand. I couldn’t run, I couldn’t escape. The earthquake threw me down and I hit my head hard. Devastation caused by liquefaction – a natural phenomenon which can occur during earthquakes, whereby normally solid ground is loosened to the point that it begins to act like a liquid. What I saw when I managed to escape the building was horrible. It was so chaotic. Everyone was screaming and running. When I arrived at the hospital to treat my head injury, I saw a lot of bodies and realized that this was a massive disaster. It was basically a living hell. Everyone, including me, was confused and concerned about the whereabouts of their families. I had never experienced anything like that in my whole life. But the thing is, in that moment in the hospital, we were so confused and so sad that we started to support each other, even total strangers. To think about it now, it still touches my heart. After all, we are all humans. We can still connect and care for each other even in this kind of situation. What impact did the disaster have on the lives of people in Palu? I would say the biggest impact is how much people have seen their lives change. Before, everything was just normal life. You live in this small city where everyone is nice and friendly, students go to school, and adults go to work. But now everything has changed. Life is filled with so much uncertainty. For me, in the weeks following the earthquake, I felt I had lost my identity. Life suddenly stopped. Others felt the same way and this made people very depressed because they didn’t know what the future would look like after the disaster. How is the situation now, six months after the disaster? When I talk to people in Palu and the surrounding areas, I see the needs have moved beyond the basics – food, shelter, water. Now people are thinking about how to move on with their lives, how to regain their independence. However, I don’t think we will ever return to the life we knew before. That’s how much it has impacted our lives. 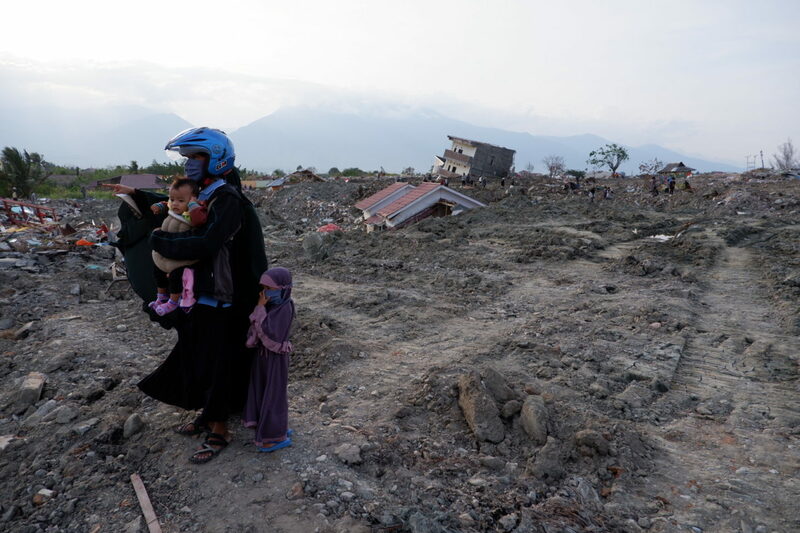 Some parts of Central Sulawesi are recovering, but some parts were too devastated to return to normal in just six months. Currently, what are the biggest needs? 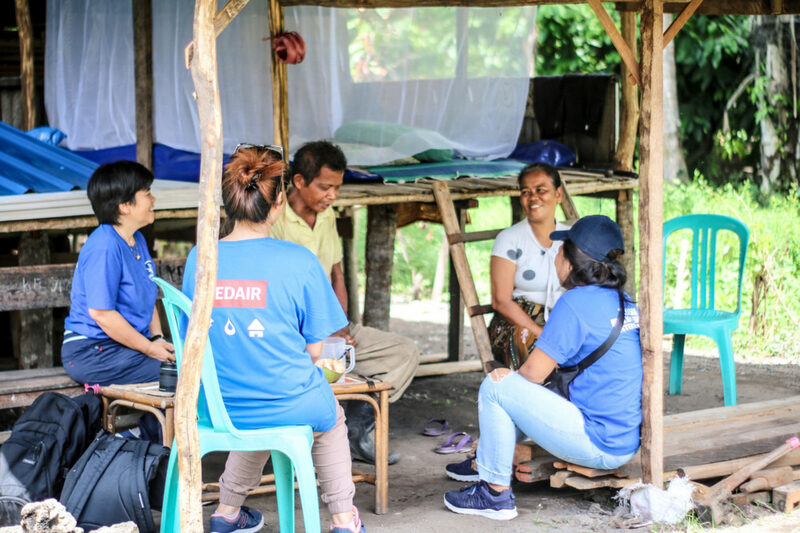 I think psychological support should still be a high priority, especially for those living close to the most devastated areas. I’ve talked to a lot of people and some still can’t go back to the place where they were living before because it’s too painful. Frilly speaks with a family affected by the earthquake. Is there a particular story that stays with you? I was really touched by the story of a woman named Sundari who miscarried during the disaster. She taught me that strength can come about in simple ways. It can be drawn from the love of your family. It can come out of a will to see your life return to normal. I’ve learned it is the simplest things sometimes that can help people press on. Do you have a message you want to tell people? That the people in Palu are very strong. We survived this disaster. It is not easy, but we press on. Sometimes it is easy to forget about survivors after the international media attention fades away. But people will continue to need help well into the recovery phase. These are people who had normal lives before the disaster, just like you. I hope people will continue to help my people and equip them to be better prepared against future disasters. 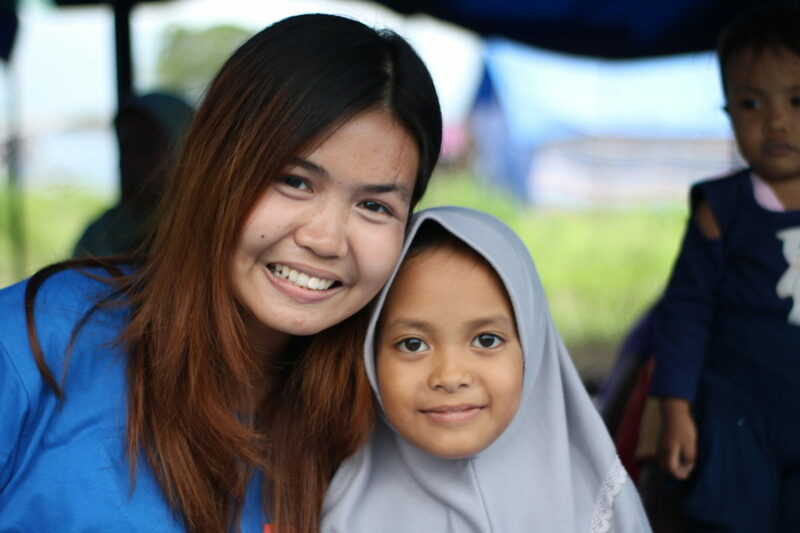 Frilly with Nur, 8 years old, whose family received help after the earthquake from Medair and partners.